Cowpeas are an enigma for Midwestern producers. Sometimes referenced as a “summer soybean,” cowpeas need to have hot weather and adequate moisture to have the best success. Cowpeas do exhibit good drought tolerance. If there is a dry summer, cowpeas should be planted by 4th week of July. Inoculating cowpeas is vital for success. Cowpeas need to be planted ¾ -1” deep and have excellent weed control to establish well. When a good stand is established and growing, cowpeas can produce 70-150# nitrogen/acre. The past few years cowpeas have been expensive to use. Hello, love your site! I planted cowpeas with sorghum sudan on 4/30/11 as a green manure crop. The cowpeas grew really well, even with sorghum sudan competition, in acidic soil, and a mild and wet summer. Was really happy with the stand. Located in southern Maryland. Use them every year. They are nearly perfect in Piedmont North Carolina for a quick and reliable summer cover. Planted some this year in late May along with Japanese Millet. It was very wet and the weeds caught up with the peas. Planted more in mid-July after cutting an early summer crop of medicinal herbs. The interim planting really took hold and produced a strong stand that will last me through until fall. I am a total newbie farmer, my father just bought farmland. Brems sandy loam. We had guys direct drill alfalfa last year but failed. I am trying to convince my dad to start with cowpeas because of the drought tolerance. Do you think this will be a good crop for starting soil that hasn’t been farmed in at least ten years? They limed last year. Where are you from? And, have you taken a soil sample? If not, start there. alfalfa may have failed for many reasons but quite possibly because the fertility and pH are so low. 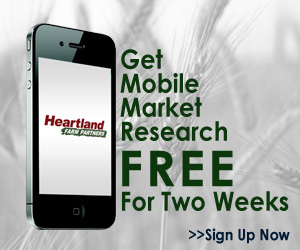 After determining your soil fertility levels and pH you can get realistic answers.